I’ve discovered that hawks, and many other birds, have 4 different receptor-sensitivities in their eyes, unlike humans who only have 3: red, green and blue. 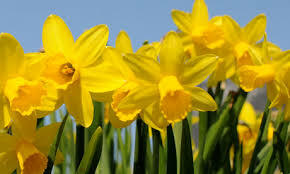 That means we can see these 3 colours, as well as combinations of them: yellow, orange, and purple. 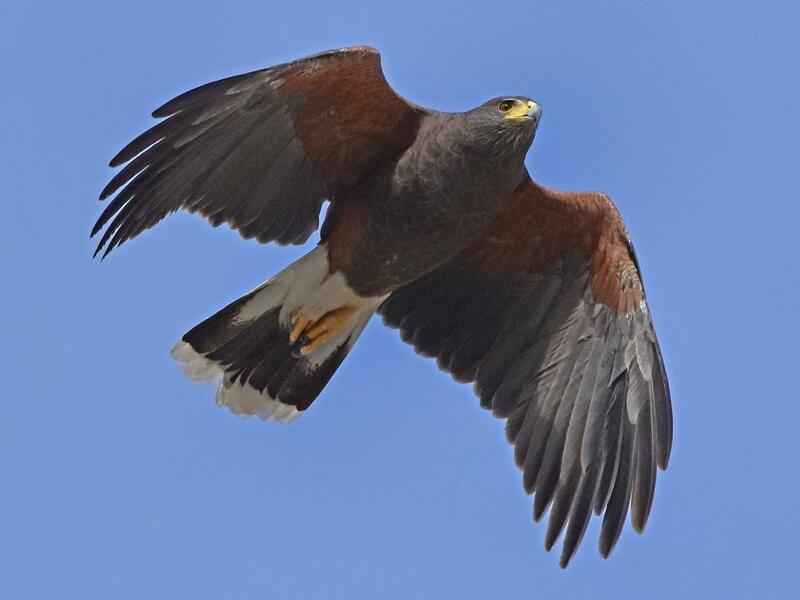 But hawks can see more colours than we can, including the ultraviolet spectrum. So it seems that there exist more colours than we can perceive. Yet we go through life thinking that there are only a certain number of colours, because that’s all we can see, that’s all we have experienced. That’s a bit of a metaphor for how we often live our lives. We think we perceive the world as it really is, but we are actually bounded by what we already know and by habitual thoughts which tell us that things are a certain way and no other. Yet hawks show us that this is not true – when we look at anything, we are only seeing a part of it. We’re missing colours which we have no way of even imagining. And so it is with any experience – if we insist on translating everything through our knowledge of past events and holding to the same thought patterns we’ve always had, we miss out on so much. While there is be no way we can see our world as a hawk sees it, there are surely other ways in which we can broaden our perception. Could we not look at our life with fresh eyes, and see things a bit differently? A new year is coming, and I’m setting it as my goal to go do something absolutely new in 2019 which is quite outside of my usual experience. Something that will generate new thoughts and ideas, and challenge me in ways I’ve not done before. Effectively, I’m determined to bring new and amazing colour into my life. 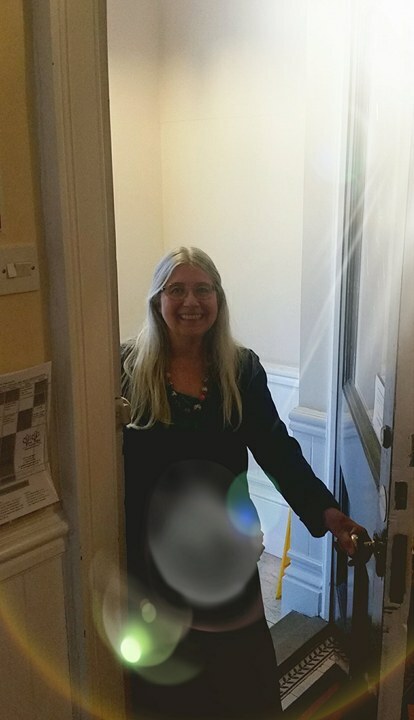 I have lovely news! 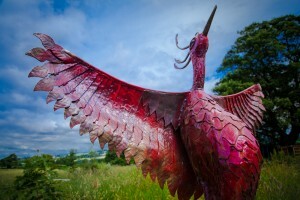 I’ve just been appointed ‘Writer in Wellbeing in Residence’ at Dilston Physic Garden near Corbridge. 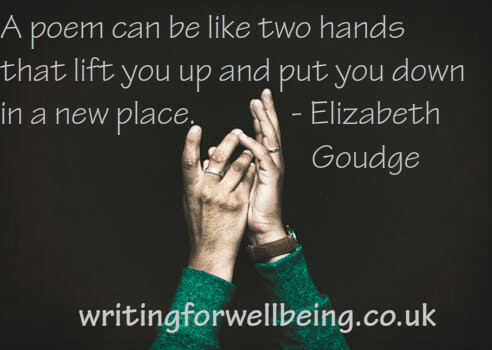 I’ve been leading Writing for Wellbeing workshops there for some years, and it is wonderful to have a closer association with this wonderful place and the dedicated people who make it happen. 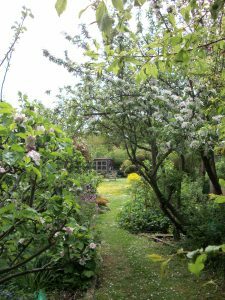 The Physic Garden is truly a magical spot which gives inspiration to our writing in the workshops, and leaves visitors with feelings of calm and peace. It is a place filled with medicinal herbs, gorgeous flowers, beautiful trees, astoundingly creative sculptures, and the charming Herbology House where we do our workshops. 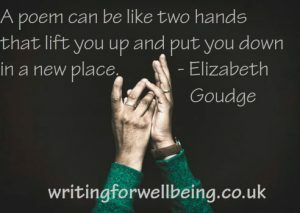 They have a full program of amazing workshops about plants and all types of wellbeing – including Writing for Wellbeing. Do take time to visit the Garden if you can – or come to one of my workshops there! When I was a child, I had an uncle who wasn’t all that good at talking a lot, but he was just what I needed – because he listened to me. He listened to me tell him about the books I was reading, my young dreams, and whatever else was on my mind. He used to respond with a drawn-out ‘Oh, yes’, which made me feel like I was a terribly importan t person. I don’t think he had had much of a chance to read many ‘children’s books’ when he was a child, educated in a one-room schoolhouse in rural Saskatchewan in Canada. But he gave me two of my most treasured books I had as a child. 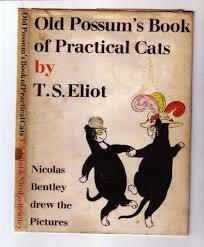 One was Old Possum’s Book of Practical Cats by T.S. Eliot, the beautiful old hardcover version (not that inadequate little paperback they peddle now). It had the most vibrant illustrations (with the charming attribution on the cover ‘Nicholas Bentley drew the pictures’). I read those poems over and over with great joy and deep satisfaction that a topic as important as cats was getting its due. 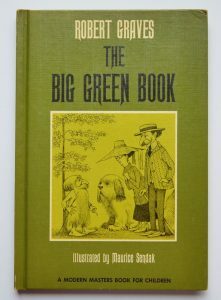 The other volume was The Big Green Book by Robert Graves, quite a naughty tale about a child getting magical powers. 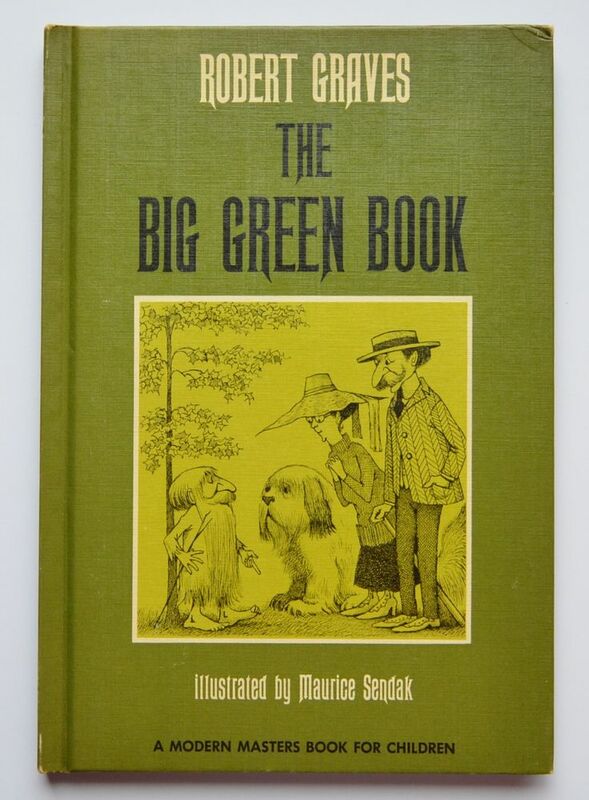 The illustrations this time were by the great Maurice Sendak. I had no idea at the time that T.S. Eliot and Robert Graves were two giants of modern literature, and when I grew older I encountered their adult books with surprise – ‘Oh, did they write something else?’. I realized later that it was my uncle’s way of introducing me to the masters, and he had given me more than just the gift of a couple of children’s books. T.S. 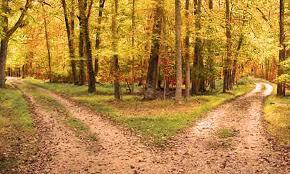 Eliot’s poems, particularly, have since become guideposts on my journey through life. I still have both copies of those books he gave me, with his inscription to me in the front. He died nearly 20 years ago, but I still feel my love for him every time I open them. And I remember my uncle who gave me the greatest gift of all – his attention. 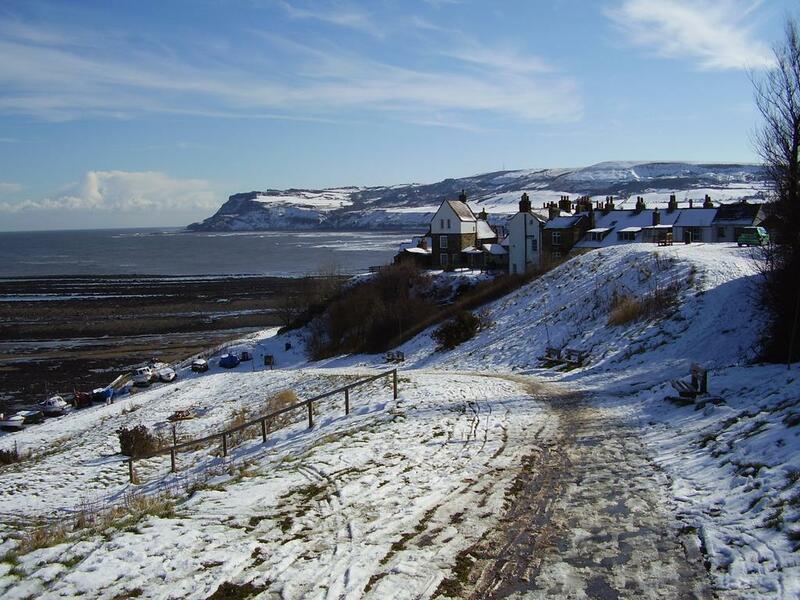 Today I was thinking about the quality of silence, and a memory came to mind of a winter walk I took some years ago when living in Robin Hood’s Bay . It had started to snow. Great fluffy blobs of snow, made up of moist snowflakes stuck together. 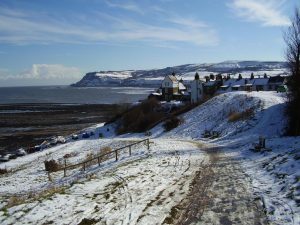 There were no tourists in Bay that day that I could see — if there were, they were hunkered down inside the holiday cottages with central heating, or perhaps a coal fire. I had the shore entirely to myself. Conveniently, it was low water, so I walked as far out on the scaurs as I could. There is always an agreeable feeling of danger when doing this, for the scaurs form long pointed fingers of rock stretching far into the sea. The sea reached around me on either side as the scaur narrowed, so that soon I was far from the absolute safety of shore, nearly surrounded by water. Only a slender band of rugged rock to bring me home again. Yet I had checked my tide timetable, knew there was no risk, and the sea was calm enough that day. But still — that little prickle of danger in my veins, the instinct that warns me to take care. All the while I had been walking through the quiet fall of the giant snowflakes. Somehow all sound from the shore was blotted out, I could have been alone in the world. But for the gentle wash of the lapping of little waves, there was utter silence. How could it be silent when there is still that small sound? Yet it was. For the waves were equally a part of the silence as the absence of other sounds, because the waves belonged here and had always been here. Were they perhaps the first sound ever, when primordial seas moved across the face of the earth like the breath of God? Unlike the noise of traffic or people talking or machinery, the whisper of water was interwoven with the silence, as if silence could not exist without it. The great flakes covered my long hair, caught in my eyebrows, blanketed my jacket. It was like being taken up into the silence, absorbed by it. Curiously, there was no feeling of loss of identity — it was more like becoming part of something greater, where I was still myself, just more so. I stayed there a long time, wishing to remain a part of that silence. But low tide does not last forever, and judiciously, I picked my way over the rocky scaur back to the not-so-loud and friendly noise of the village. In the end, we always come back home. 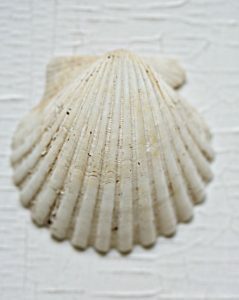 Some time ago I was walking along a beach in Donegal and stopped to pick up a white shell. The shell was so beautiful and pure, exquisitely formed, absolutely perfect. It was only when I turned the shell over and looked underneath that I discovered a piece had been broken off the underside. So the shell was not completely whole after all – yet somehow, even though it was broken, it was still perfect. And so it is with people – on the outside at a first glance, we can appear to be quite fine and nothing wrong with us. But when we look deeper, look underneath, we find that all of us are a little bit broken in some way. We become practiced at hiding it, thinking that it’s not okay to let others know if we have problems, particularly involving emotional and mental health issues. Yet really, it is always okay to say if you are having difficulties coping. So let my little story about the shell remind you – that you can be a little bit broken, and still be absolutely perfect. This thought for you on World Mental Health Day. My favorite book of poetry is not a book of the conventional sort, not one I can hold in my hand, nor read online. It is, nonetheless, the poetry anthology of my earliest memory, containing the poems which helped to shape my life. Unprofessional, incomplete, and wildly random as this anthology was, I trace every poem I have ever read or ever written back to this collection. This ‘book’ was composed of the fragmentary poems which my mother held in her memory. My mother was educated, if such a word be appropriate, in a one-room schoolhouse in the rural prairie region of central Canada. There one teacher struggled to control a varied group of children of all ages, with only a small portion of any teaching time being dedicated to each grade daily. Inevitably, there were long periods of inactivity between lessons and assigned work, and my mother found refuge in the tiny collection of books owned by the school. She read and re-read the few books of poems many times, until the words found their way into her memory, creating a singular anthology which filled her childish dreams. Decades later, childhood dreams were replaced by the pragmatics of raising four children of her own, yet to assuage the boredom of housework, she often recited poems from this ‘book’ in her mind while hoovering or cooking. It was many years before I realized that all children’s mothers didn’t do this, to me it had been normal for the Lady of Shalott to be in our home, or for the adventures of Horatius defending Rome at the narrow way to be declaimed. There were, however, often pages missing from the anthology in my mother’s memory, and I was left asking what happened when Horatius flung himself into the river beseeching the Tiber, ‘A Roman’s life, a Roman’s arms, / Take thou in charge this day!’. Thus was laid a pattern of learning, when I was compelled to search the local library for the full text of this or another poem. Lacking even the author’s name, and in those days before the ease of Google searching on the internet, my quest took me through so many volumes of poetry that I nearly forgot my original purpose in the wealth of verse which I discovered. Indeed, to the present day, I still stumble across a poem, a verse of which will suddenly sound in my mother’s voice — and I find that another missing page has been restored in her personal anthology. 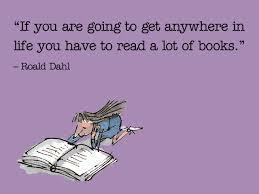 Research confirms what book readers always knew – reading is beneficial for you in a great many ways! 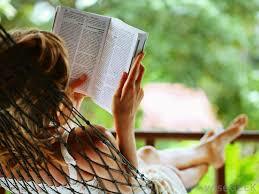 So never feel guilty about taking time to pick up a book – it’s good for your health.